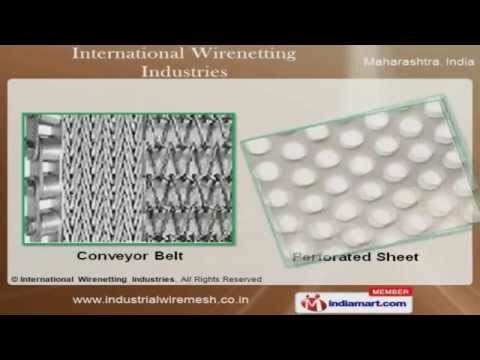 Welcome to International Wirenetting Industries. Manufacturer & Exporter of Wire Mesh & Vibrating Screens. The Company was established in 1993, at thane. Our Well developed infrastructure unit help us to serve Power, Chemical & Pharmaceutical industries. Customization, assured quality, & effective packaging units make us the first choice ofour clients. We offer a wide array of Vibrating Screen, Wire Mesh & Barbed Wire. Our Chain Link Fence & Demister Pad are in huge demand across the global markets. We also provide Conveyor Belt & Perforated Sheet that are available at affordableprices. Along with that we offer Universal Screen & Industrial Filters that are superior inperformance. Concertina Wire & Vibrating Screens offered by us are widely appreciated in the market. Our SS Knitted Wire Mesh & Multi Layer Cylindrical are a class apart.